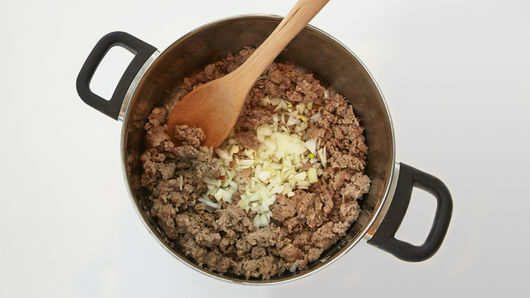 In 5-quart Dutch oven, cook Italian sausage over medium heat 7 to 10 minutes or until sausage is no longer pink; drain. Add onion and garlic; continue cooking 2 to 3 minutes or until onions are tender. Add chicken broth, salt and pepper; heat to boiling. 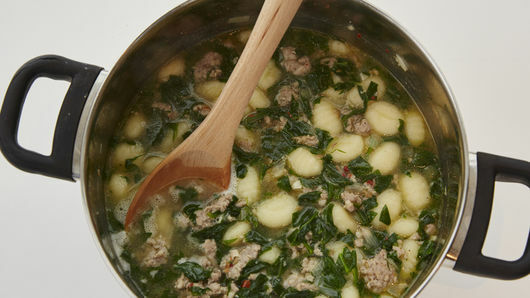 Stir in gnocchi and spinach; simmer 2 to 3 minutes or until gnocchi begins to float. Stir in whipping cream; serve. Add 1/4 teaspoon crushed red pepper for a little spicy heat. Packaged potato gnocchi is shelf-stable and found in the pasta aisle of the grocery store. Gnocchi is considered a type of dumpling and has been a mainstay in Italian cuisine for many years. You can find gnocchi dishes just like this one at your favorite Italian restaurants, but it’s also so easy to prepare at home. Most supermarkets sell packaged potato gnocchi, and the dumplings only take a few minutes to cook, making it a great choice for busy cooks who still want to serve something impressive for family dinner. 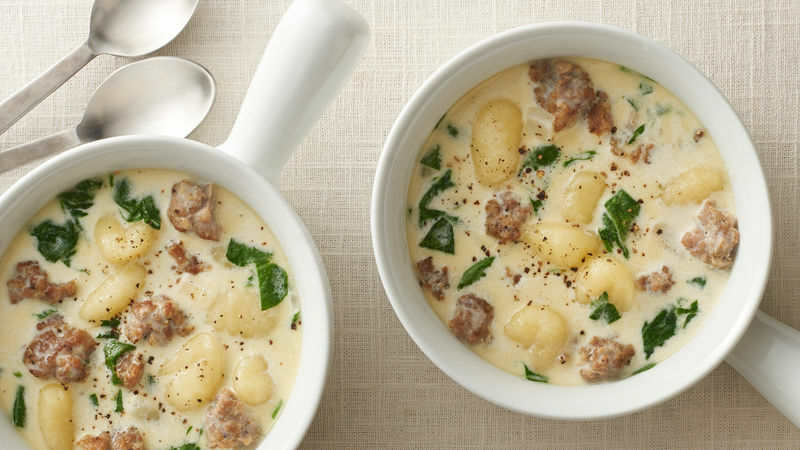 Gnocchi soup like this one is a common dish, but you can also find gnocchi tossed with pasta sauces like brown butter and sage or Alfredo. (We even have a recipe for gnocchi casserole!) Love this dish and want to try more just like it? How about making some of these pasta soups next? And don’t forget to round out the meal with tasty sides and toppings, too!